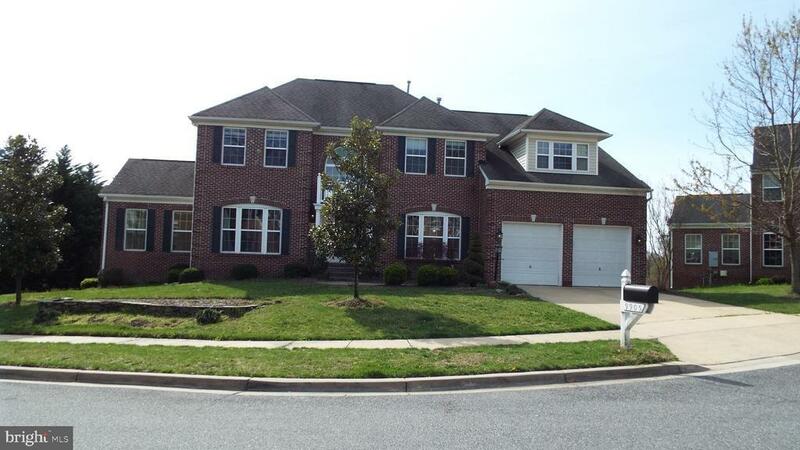 Welcome to your new home in this sought after community in Bowie, MD. This beautifully designed 4 bedroom 3.5 bath with large basement and potential 5th bedroom boasts over 4600 SF of living space. The entryway has a split dual staircase which draws you into a layout made for entertaining. The 2-story great room is generously oversized and graced by soaring ceilings and a floor to ceiling stone fireplace to enjoy gatherings. To inspire your inner chef, the impressive kitchen comes with granite counters and center island with seating for 3-4, to include a large pantry and upgraded stainless steel appliances. The breakfast room area boasts with natural light from French doors leading to the spacious rear deck.The upstairs master bedroom has its own private bath plus a his and her walk-in closets. The lower level houses a large rec room with carpeted floors and workout room area. There is enough space for a billiards room, 2nd living quarters or theater room with tons of storage space. This home has so many features including crown molding, mud room, main level laundry room with washer/dryer, ceiling fans and so much more. Youll also love the convenience of your own 2 Car Garage with additional 2 car driveway, and a great neighborhood within minutes to NASA Goddard Space Flight Center, Bowie State University, 8 minutes to Six Flags, 7 minutes to Enterprise Golf Course, Fed Ex Field, 1.2 miles from Woodmore Towne Center featuring Best Buy, Chipotle Mexican Grill, Navy Federal Credit Union Costco Warehouse, Copper Canyon Grill, Nordstrom Rack and more.